What a unique experience I had at the Seven Hills Paranormal Society's June meeting! I shared some points about my research and writing of A RED, RED ROSE, then read a passage in which my protagonist in the middle of the night is led by music to an old porch where a chair rocks itself. Got nice reactions from the group and some pithy questions. But here's the FUN part...I waqs the one asking questions as I sketched out for them my next novel. "Can children actively seek and find resident spirits in a house?" was my first question. "How much technical help would be needed by adults and what might that involve?" was another. I got so many suggestions and ideas that I wanted to run home and start typing immediately. 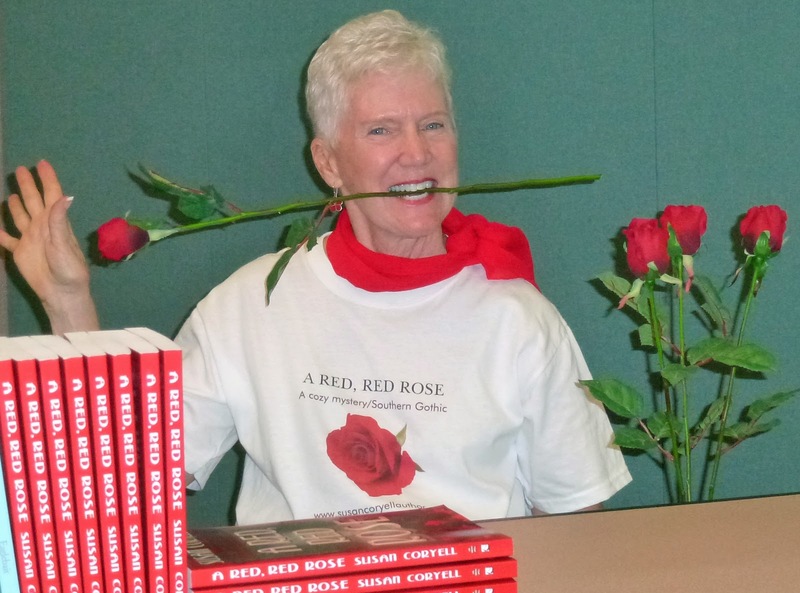 And then, today when I checked the Seven Hills website, I found someone had posted a lot of historical and background info about "family ghosts" that so fit my Rosabelle character in A RED, RED ROSE that it gave me goosebumps. Especially since I made up everything about my Rosabelle Spirit--or so I thought! So...my thanks to Seven Hills Paranormal. I can't wait to go on a field trip and learn more! Tomorrow it's a group signing at the new library in Roanoke. This is virgin territory for me; I know only a couple of people who live there, so it will be a good test of interest for A RED, RED ROSE. Wish me luck! the Bee Gees, ABBA, the Carpenters, the Beatles and other greats of that decade, come out to the Saturday matinee at 2 pm at TEP. Ned does a pretty good John Travolta (without the hair)!